Need a memory for the road? What better way to enjoy your memory than during your morning coffee! We take your picture during a live photo shoot in our All Digital Photo Studio set up on-site at your event. 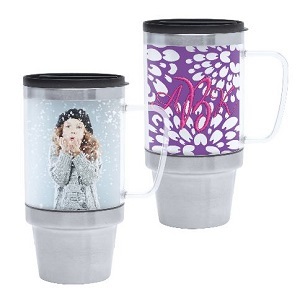 Within minutes your photo will be turned into a 4″ x 6″ photo insert that goes inside our travel photo mugs.